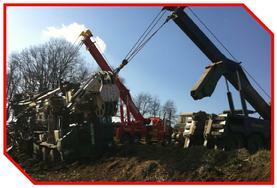 Our Mission Statement at Hovis Auto Wrecking, Inc.
"No Matter How Big or How Small, We Have Equipment to Handle it All!" 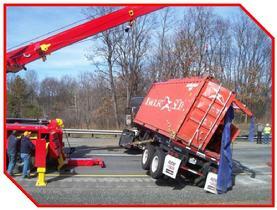 Hovis Auto Wrecking, Inc. is your total source for Light, Medium, and Heavy Duty towing and recovery. Having been in the business since 1952, our company provides professional experienced operators and a vast array of equipment. We provide 24 hour service for both local and long distance towing. 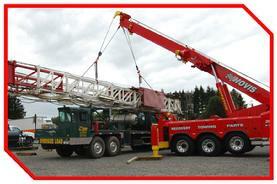 Some services we provide are load transfers, accident clean-up, accident scene traffic control, the advantage of single-lane closure, crane service, and loadall and lowboy service. In addition to towing and recovery we offer a salvage yard with both heavy duty and medium duty used truck parts, used automotive parts, as well as new parts.